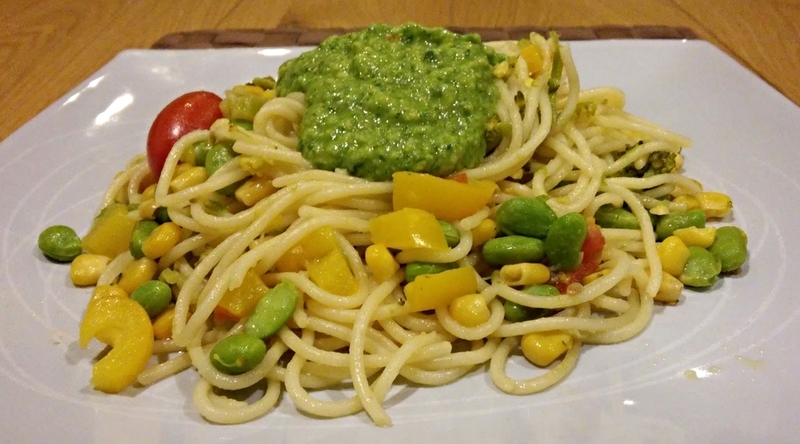 As in one of the photos above, skip step 6 and add the basil cream on top of the pasta just before you serve. Use spaghetti instead of pasta. Use different vegetables e.g. sweetcorn. We made this for about 20 people in November 2014. 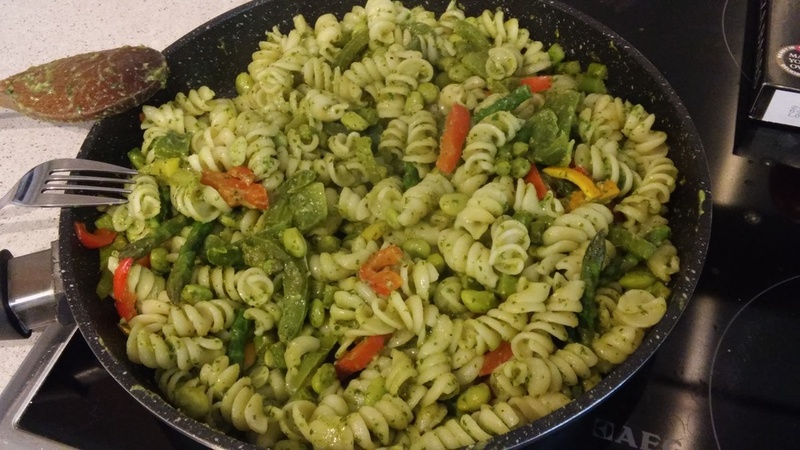 The group who were in charge of cooking, decided to put the basil sauce on top of the pasta just before serving it, rather than, mixing it in to the pasta. It was lovely! So the next time I made it, I did the same. 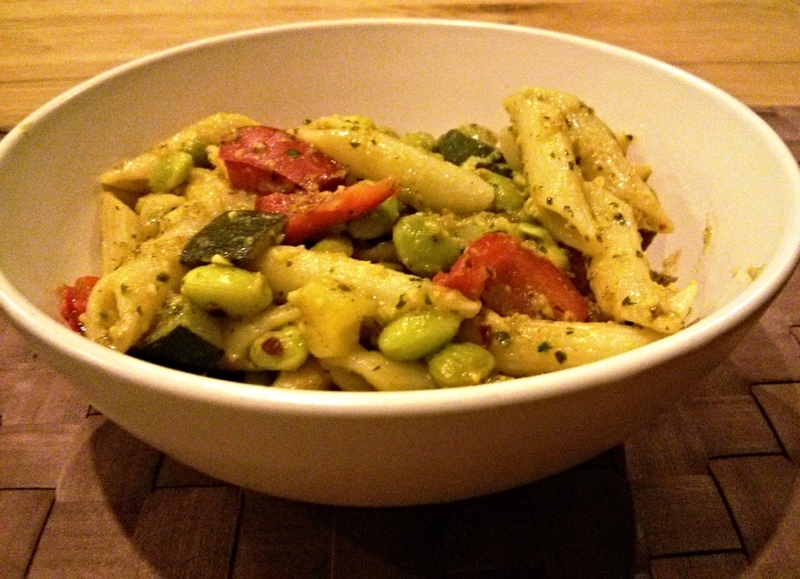 I also swapped the penne for spaghetti and replaced the courgette with sweetcorn. You can see photos of this at the top of the recipe.